One of the features I missed greatly on my full size desktop keyboard is the easy-access function keys (F1 to F12). 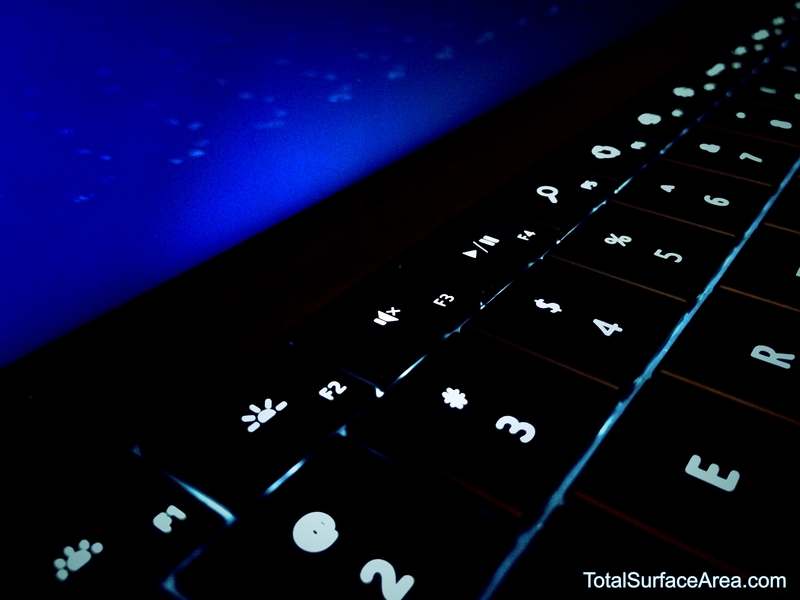 Fortunately both the Type Cover and Touch Cover keyboards for the Microsoft Surface has them. Unfortunately, they are only accessible by a key combination of “Fn” and one of the keys on the top row. This can be cumbersome and frustrating for those who are used to full desktop keyboards and uses the function keys a lot. Alas, Microsoft has a solution for those function key aficionados. If you use these keys often, you can ‘lock’ them as function keys by pressing “Fn+Caps” together. This causes the top row of keys to work as function keys without having to hold down the “Fn” key every time. To release and toggle the top row of keys back to normal, press “Fn+Caps” again. The feature is awesome for those that are used to the function keys and use it a lot. What makes it even better is that it is not temporary like “Caps Lock.” Pressing “Fn+Caps” will hold the function keys through sleep, hibernation, power off, reset, and even pulling the Type Cover or Touch Cover keyboard off. This makes me believe that the function is a Windows 8 feature and not a Type Cover keyboard feature. Why is this a big deal? The function keys allow for quick keyboard shortcut and come in really handy in many applications. For example, here are what the function keys can do for you in the modern version of Internet Explorer (function key shortcuts for the desktop version is slightly different). …and more For more Internet Explorer keyboard shortcuts, click here. As you can see, having single key press for some of these frequent operations can help you be more efficient in your everyday tasks and be more productive. There are a similar number of shortcuts for many applications, especially the Microsoft Office Suite. So what do you think? How much do you use the function keys? With the new TypeCover of Surface4, this tip doesn’t work anymore. Instead, the FN key (as well as the CAPSLOCK) now have a small white dot in the upper right corner, which actually is a LED and lights up, if you toggle that key. Thus the FN key itself can now toggle the functionkey behaviour, if you just press it without any addional function key.